Posted November 19th, 2013 by David Porter & filed under General, Hot Topics, Social, Technology. Green thinking is increasingly applied to our love affair with the car as Miles Per Gallon are far more important than Miles Per Hour these days. In the past decade more eco-positive vehicles have been coming onto the market and drivers are more aware of environmental matters. Putting the foot on the gas pedal comes at a cost in fuel burn, and fuel is now so expensive. For decades there was no alternative to petrol for cars and apart from unleaded fuel, few expected much progress on reducing petrol’s grip. However, there is a new wave of small-capacity (three-cylinder), turbo petrol units (one litre) that rate economy and emissions at near-diesel levels. They are economical and have been described as ‘fun to drive’ on everyday runs, but are less efficient on distance/motorway driving. Expect engineers to keep developing in this direction – small is beautiful. Most commentators argue that diesel is ideal for the higher mileage user with good performance and economy on fuel, if not vehicle purchase and maintenance. Indeed, good long runs are essential for efficient working. The modern filters to trap particulates (the sooty deposits that caused so much harm a generation ago) have pushed diesel up the enviro-list of good guys. ‘It’s Cleaner, Greener and Cheaper. LPG Autogas is by far the most widely available environmentally friendly alternative fuel with over 1400 refuelling sites throughout the UK, most of which are on petrol forecourts. Recent independent tests have also shown that LPG has the best environmental record compared with petrol and diesel. It’s around 50p a litre cheaper than petrol but gives about 20% less mpg. So drivers can make a judgment. The combination of diesel or petrol engines with electric motors is very ‘now’. So many things are hybrids, and why not? This category is still evolving. The use of power supplies working simultaneously or in towns on battery power alone with a rage of recharging options is still being tweaked and experimented with. Hybrids are a market that is expanding and we should watch out for quite exciting further developments in economy and performance levels. Charging the car from home or an increasingly available power point in a city/town carpark or street may sound very ecologically pure. It’s presented as good, clean electricity and the milk float/golf buggy jokes have been set aside with distances of 100 miles between charges now a reality. However, not everyone is satisfied that a full environmental audit has costed in the reality of creating the electricity in the first place. It must be said that purists who argue that often neglect the power and transport costs of traditional fuel manufacture too! A new generation of hybrid plug-ins is coming where the drive battery operates as with electric powered vehicles, but once that source is exhausted a petrol, diesel or electric hybrid kicks in. Expect much more development of these ideas, which can be labelled ‘hybrids of hybrids’ because the debate about energy and transport is going to get any cooler anytime soon. Yes, but where any of those transportation methods are neither available nor applicable, then driving may be the only way. So to make it as green as possible, is worth thinking about. Metro published in September 2011 a list of the stranger inventions designed to be enviro-good. 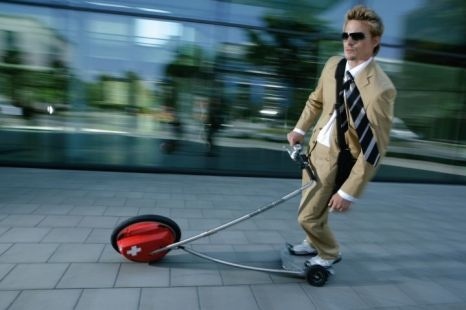 Sustainable greenpower electric cars, the electric tuk-tuk, the easy glider, the econogo electric scooter, the black current electric dragster, Brahms Electric Hearse, the Segway, Zerocars Little Electric and even the Sinclair C5 are recalled and pictured. Living Ethically UK is a resource of sites listing associations/organisations on environmetal transport, green fuels, car sharing clubs around Britain and climate neutral breakdown cover. Now this blog is about the status quo and the near future. By 2015 we’ll probably see driverless cars in many places, cars or pods on streets (or even pavements) and they may yet prove to be the ultimate green transportation or not. But that’s a blog for another day!